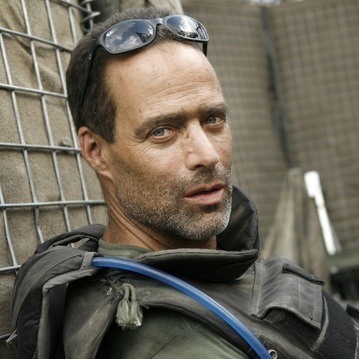 In 2010, journalist and The Perfect Storm author Sebastian Junger collaborated with photojournalist Tim Hetherington on Restrepo, an Oscar-nominated documentary about the war in Afghanistan. Restrepo followed the deployment of a platoon of U.S. soldiers who established a remote outpost in Afghanistan’s dreaded Korengal Valley that they named in honor of a fallen medic. Junger’s follow-up documentary Korengal uses footage he and Hetherington shot in 2007 and 2008 that did not make it into Restrepo. Junger’s new documentary focuses on the emotional journey undertaken by the U.S. soldiers who were featured in Restrepo. Korengal opens June 27 in Austin. A platoon member featured in Korengal, Michael Cunningham, will participate in a Q&A following the 7:50 p.m. June 27 screening at the Regal Arbor 8. During this interview, Junger discusses his decision to make Korengal, his experiences filming a documentary under combat conditions, and the untimely death of Restrepo co-director Tim Hetherington, who was killed by shrapnel while covering the 2011 Libyan civil war.